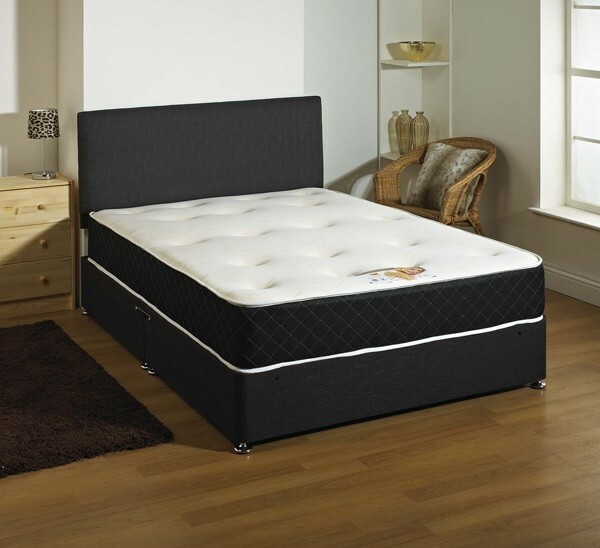 The Kensington 1500 Pocket Spring & Memory Foam 6ft Super King Size Divan Bed comes with a luxury mattress. The mattress is constructed around 1500 count pocket spring units with ultra-supportive layers of high density visco elastic memory foam to distribute pressure and to provide ultimate comfort and support. The Kensington provides the best possible support to your spine allowing your body to immediately find the best sleeping position, reducing tossing and turning. Divan Base will come in two vertical split halves.